Important message to all particle physicists: You can stop looking. I have found your particle, the God particle, a.k.a. the Higgs boson – the particle. It was hiding in plain sight all along. Everything is beginning to make sense now. We can soon enjoy a grand unified theory of everything. The evidence is rock solid. 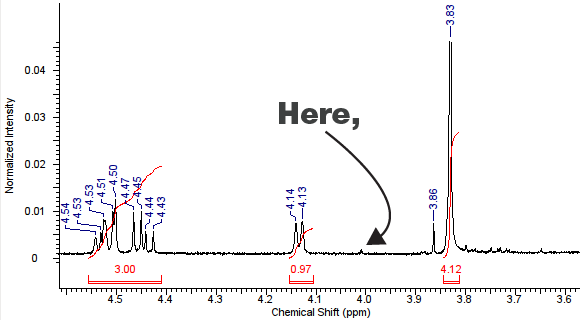 I see weak, yet indisputable signals in H-NMR, LCMS and on TLC. Hey, I was even able to recrystallize the damn boson from ethanol and water (with hot filtration). More on that in an upcoming full paper in The Sun. Remember where you read it first, yo. I thought you might be hiding the boson between your manly pecs. Interestingly, that’s the very same link I used in the post above. Btw, did you go to the Nobel lecture today? Unfortunately, I couldn’t make it. Work is crazy. Good? Hope I can find the time to check out the webcast soon. Not my field at all, quasi-crystals (I barely understand normal crystallgraphy). So I was dreading the lecture, but actually it was really good fun. He explained the science in accessible ways and raised a good chuckle from the crowd a number of times. Plus it was a good story of having to break through the barrier of opposition to his findings. At the end he finished off with some advice for budding new researchers and even for school kids too. All round a fun affair.